Lou was a graduate of Forest Hills High School and then received his Bachelor of Arts degree from Washington and Jefferson College where he majored in Chemistry. Following this, he received his Masters degree in Physician Assistant studies from Chatham University. 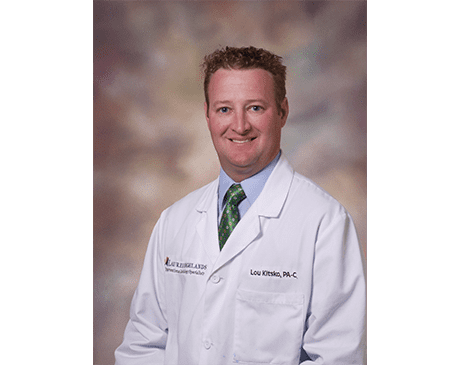 Prior to joining the Interventional radiology team, he worked in the department of cardiothoracic surgery for 12 years. He has also held positions in internal medicine, critical care, and emergency room medicine. When not working, Lou loves spending time with his wife and 7 year old son. He loves golfing, reading, traveling, and landscaping.